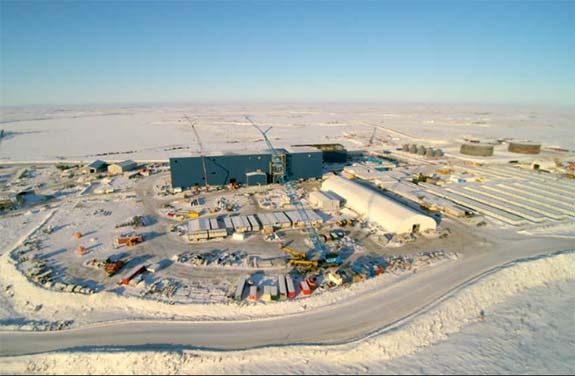 De Beers and Canadian partner Mountain Province recently took the wraps off their Gahcho Kué diamond mine, a $1 billion project that promises to generate 4.5 million carats per year. 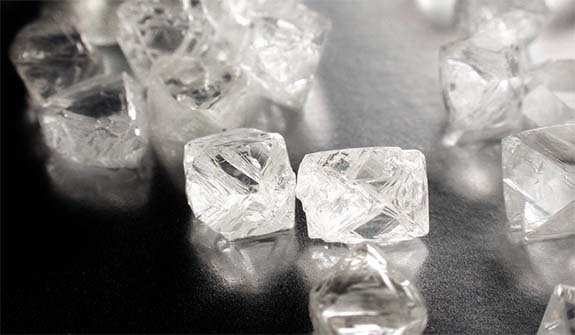 The mining companies believe there is a great chance of finding large, fine diamonds at the mine because test samples already have yielded two gem-quality stones, weighing 24.65 carats and 12.1 carats, respectively. Situated at the edge of Kennady Lake in Canada's remote Northwest Territories, the Gahcho Kué mine sits atop a labyrinth of kimberlite pipes, which are usually surefire indicators that diamonds are nearby. The pipes are often likened to volcanic superhighways that can deliver precious diamonds from deep within the earth to the surface. Gahcho Kué's officially opening next month will mark the culmination of a 23-year odyssey that began with some basic geological sampling and built up to a $1 billion, two-year development project. The mine will go into full commercial production by early 2017 and is expected to have a 13-year life span. "Starting the ramp-up to production at Gahcho Kué — on time, on budget and in a challenging environment — is a remarkable achievement," De Beers Chief Executive Bruce Cleaver said in a statement. Gahcho Kué means "place of the big rabbit" in the Dene Suline language of the region's native Chipewyan people. De Beers and Mountain Province are 51/49 partners in the Gahcho Kué mine, and this is De Beers' third mine in Canada. The other two are located at Snap Lake (Northwest Territories) and Victor (Ontario). 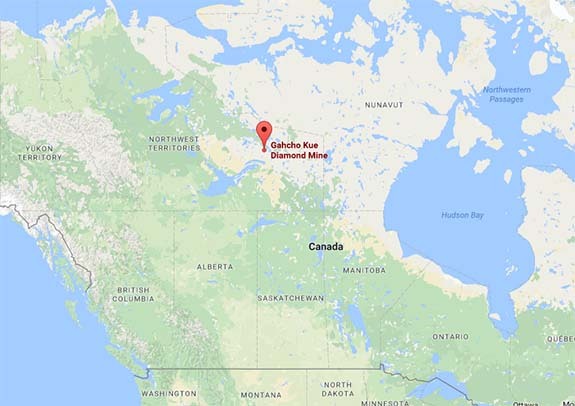 De Beers described Gahcho Kué as a remote fly-in/fly-out location just 140 miles (280km) northeast of its existing Yellowknife diamond mine. Credit: Images by De Beers Canada, GoogleMaps.com and DeBeersGroup.com.